Copenhagen - right next to the little mermaid at Nordre Toldbod 29 - even with parking available (paying). 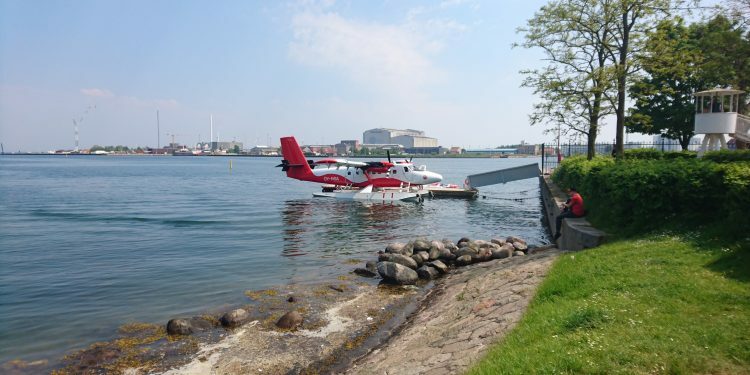 With more than two years in the sky above Denmark, it is still relatively new – and as yet – the only seaplane here. With barely a one-hour flight from harbour to harbour, you depart and arrive virtually downtown. 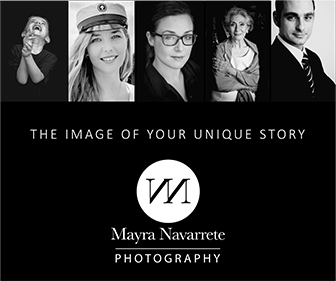 Our expat writer gives you here her personal experience. 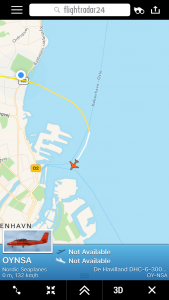 You might just have passed Langelinie, or Aarhus Dokk, and seen the little red and white airplane glide along the harbour. If you have not, that in itself if worth an excursion. 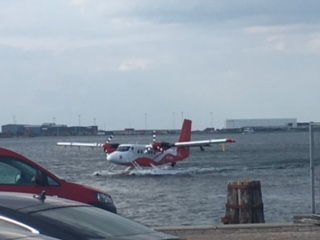 The airplane is a Havilland DHC6 Twin Otter, an aircraft capable of taking off and landing on water thus connecting Aarhus and Copenhagen by seaplane. Seaplanes were used a great deal more than 70 years ago before the modern land-borne airport structures were put in place. In the 21st century, seaplanes have maintained some uses such as for instance the Bombardier built Canadair that drops water on forest fires, or they are used for air transport around archipelagos. or as means of enabling access to areas difficult to reach by car – for instance in remote areas where they can land on lakes. Despite the 45 minute flight (compared to SAS’s 30 minutes), travellers save time on transport from the airports to the city centres. 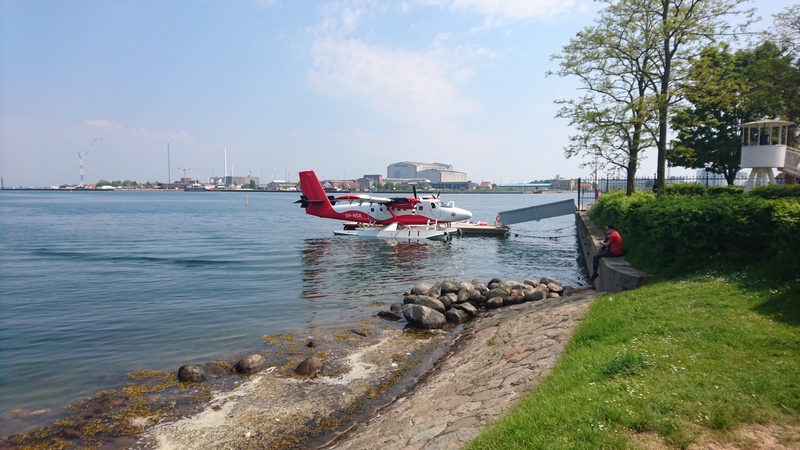 The small seaplane fits approximately 15-20 people eager to get to their destination minus the security checks, large crowds, and discomfort found in Copenhagen’s airport. Not to mention this flight will be much more efficient than the alternative, a three hour train ride. 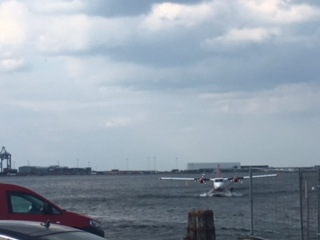 Nordic Seaplanes – landing on water just outside Copenhagen Harbour and Langelinie from where it taxies in to Toldbod to set off the passengers from Aarhus. As you walk up to the red and white mode of transportation, a male captain and female co-captain smile at you and welcome you aboard. They’re not your average, serious pilots. Their relaxed demeanour appeases you immediately and erases any apprehensions you once had about flying in this small, and relatively new plane. Once everyone is sitting snug in their compact, yet comfortable seats, the co-captain quickly reviews the few safety precautions. The turbines rapidly turn, and the seaplanes ascends on the sea. The sound of the turbines is very prevalent due the small surface of the vessel, so wearing the noise cancelling headphones is a must. It takes roughly ten minutes to get to the water runway and then suddenly the speed of the planes increases. 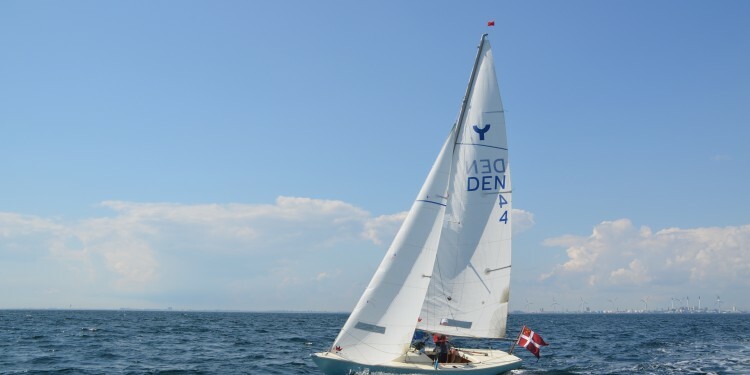 The ascension occurs surprisingly swiftly and soon you are flying high over the beautiful Øresund Region. Looking down you can see Tivoli, Amalienborg Palace, Charlottenlund Fortress and Beach, storybook red-brick houses, ant-sized bicycle riders and much more. Turbulence is low, and the view is spectacular. The passengers’ nerves are calmed as the co-captain briefly leaves a friendly and laugh-filled conversation with the captain to frequently turn around, smile warmly, and give a thumbs up to check on the guests to ensure their happiness and enjoyment of the ride. 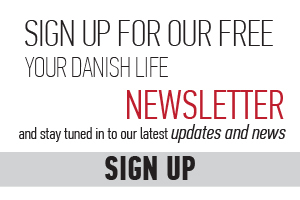 The 45-minute ride goes by too fast and soon the coasts of Aarhus are close in sight. The seaplane landing is as smooth as the take-off and already you’re eager for the flight back to Copenhagen. Fares are not cheap though, one way costs approximately DKK 1,800. 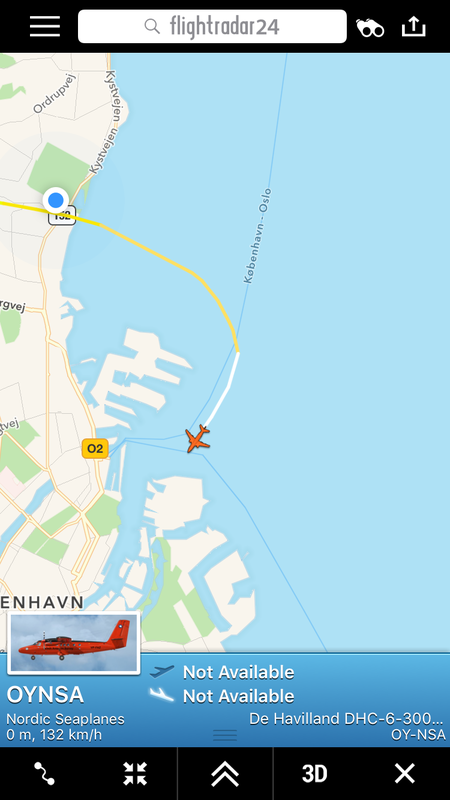 During the summer holiday the company offered special fly over Copenhagen/Aarhus deals for one hour at approx DKK 600, and they do so again during other school holidays when there are fewer business clients, these flights sell out quickly though so you need to book well in advance. The founder of Nordic Seaplanes, Lars Erik Nielsen, has many years experience in the seaplane business, as he started Maldivian Air Taxi back in 1992, a company that also uses the Twin Otter seaplane to fly between the Maldivian islands in the Indian Ocean. In 2013 he sold the company to the capital fund Blackstone. It is believed the deal brought in close to DKK one billion to Lars Erik Nielsen and his partners, ultimately enabling him to start his new venture, Nordic Seaplanes.